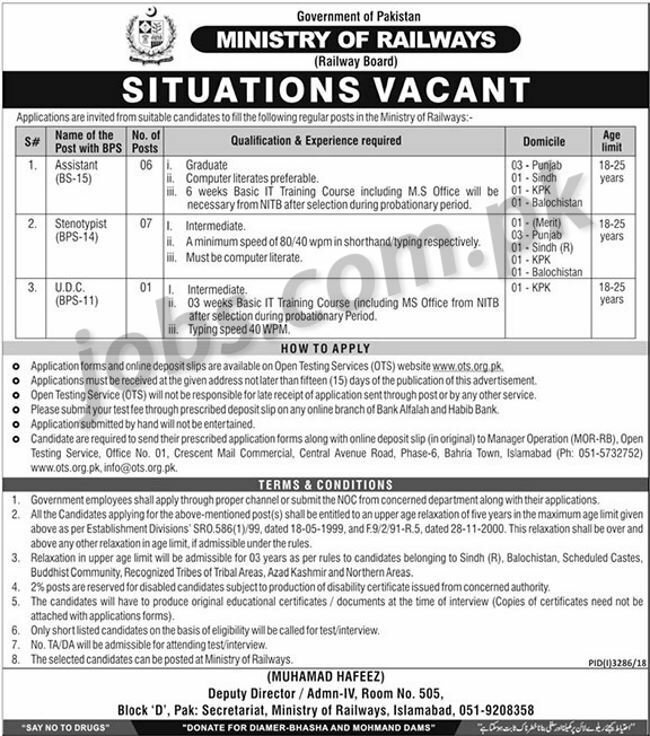 Ministry of Railways Pakistan Jobs 2019 for 14+ Assistants, Stenotypists and UDC Clerk Posts to be filled immediately. Required qualification from a recognized institution and relevant work experience requirement are as following. OTS is conducting recruitment test for these posts and you can download the OTS application form and deposit slip from OTS website or this page below – Eligible candidates are encouraged to apply to the post in prescribed manner. Incomplete and late submissions/applications will not be entertained. Only short listed candidates will be invited for interview and the selection process. No TA/DA will be admissible for Test/Interview. Last date to apply to the post and submit application along with required documents is 5th February 2019. 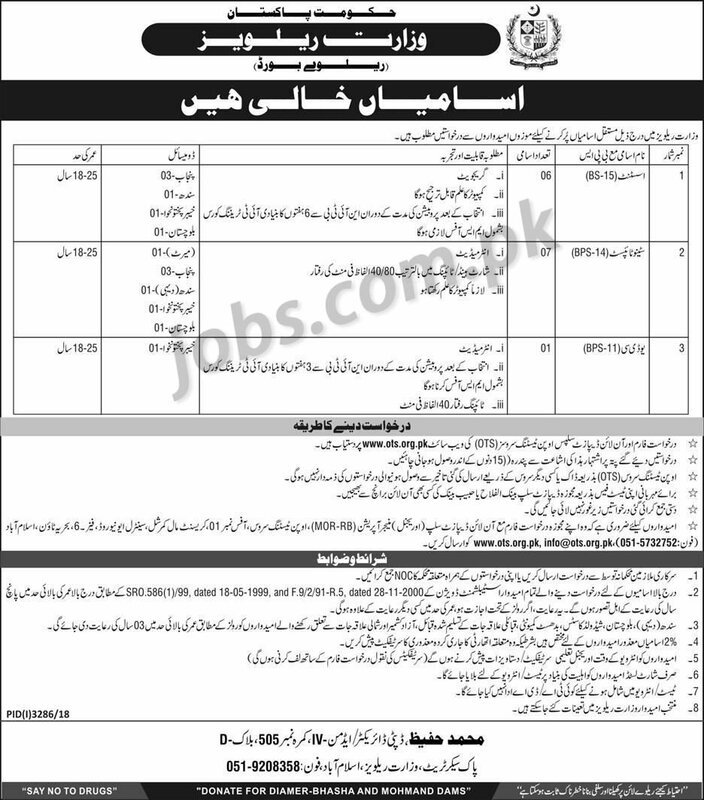 Download OTS application form and deposit slip from OTS website at www.ots.org.pk – For complete instructions, please see the job notification given above.